re your friends always asking you to make them something? Or is your home filled with handmade beauties? 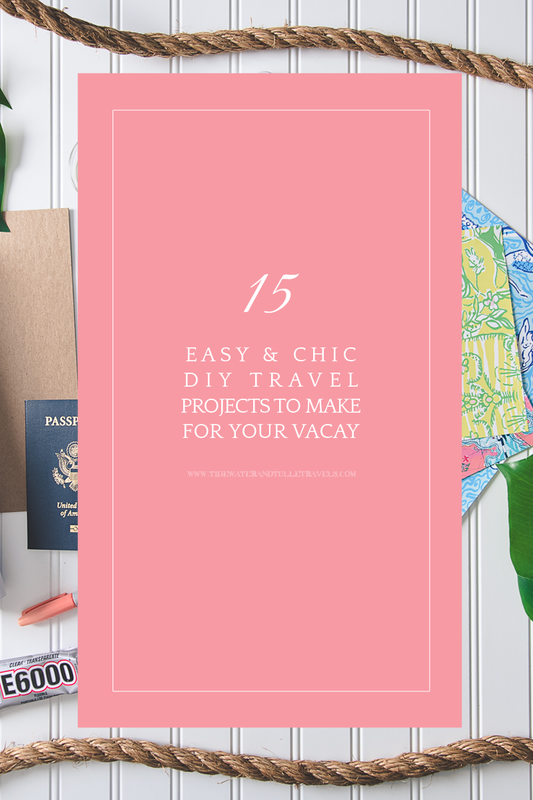 Then this one is all for you because we're channeling all things destinations, honeymoons, and general vacation vibes with our curated roundup of the best chic and modern DIY projects perfect for your travels. 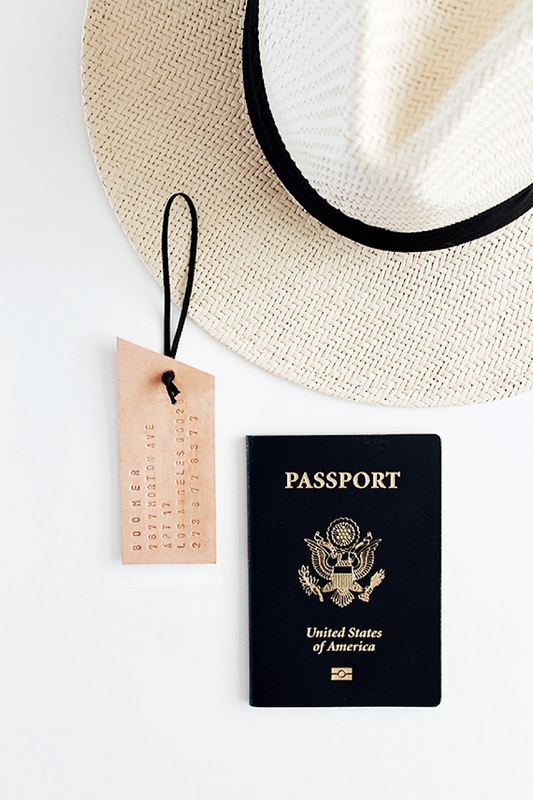 From passport covers to tassel bookmarks to lingerie bags, there's a project for everyone to make this weekend. Give your camera a little makeover with a cool new strap before your trip. You decide what it looks like! You will need to get a special Leather Punch tool for this project. 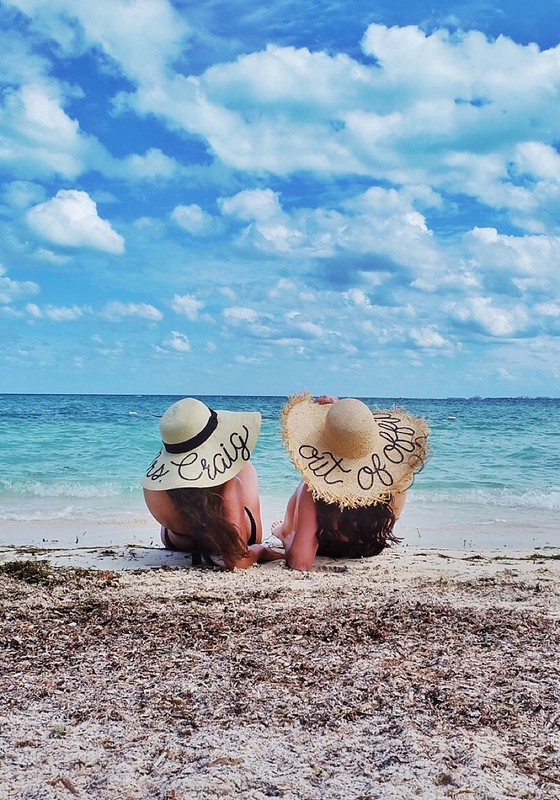 Made popular by Eugenia Kim's chic design, you can fancy up your own floppy sun hat with a trendy quote of your choosing. The disappearing ink pen is a must have for this project, especially if you are creating on a white hat! For all those talented artists out there, this assemble-your-own travel journal is perfection! We rely on our smartphones for photos that we sometimes forget the original Instagram: sketches on paper. Take it back to the old world with this one! Travel journals can come in all shapes and sizes. 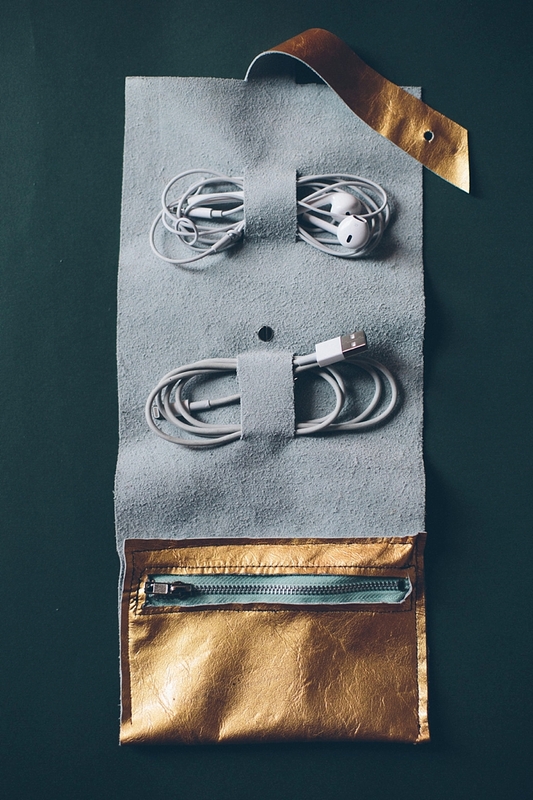 Maybe you have a clutch already or one for your art supplies to store your travel journal? Whatever you choose, we recommend a water-resistant or wipeable material like leather or vegan leather. Anyone else out there who pretty much hoards passport covers, too? Yep, that's us. 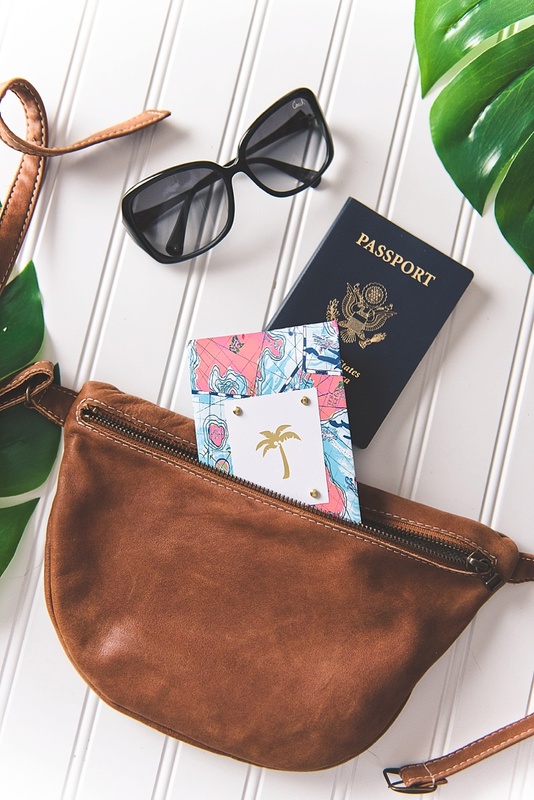 This makes that obsession a little bit more wallet friendly when you can make your own! You will need to get a fab Cricut electronic cutting machine for this project. Portable chargers, cords, cords, cords, everywhere. Story of our travel lives, but not anymore. Make an organizer that keeps all that chaos under wraps! You will need to have sewing knowledge for this project if you want to include the zipper pocket. Cheeky and chic! 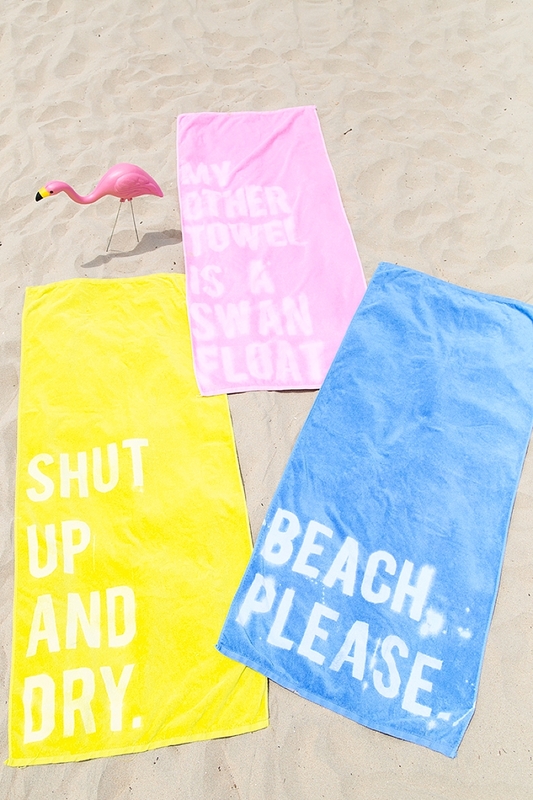 Give your plain beach towels a new makeover with a little quote. You will need to use bleach, so be sure you have a safe non-carpeted space to make this project. This oh so easy DIY practically makes it a must make. It's way better than those silly paper tags at the check-in counter, areweright? You will need a special stamp set for all the letters and numbers in this project. Cool thing is that you can use it for metals, plastics, and leathers! For those who love to organize even their travel goodies, these adorable linen bags are just what your suitcase needs to divide up the delicates! You will need to have sewing knowledge for this project if you want to make your own bags, and you will need that fab Cricut electronic cutting machine again. 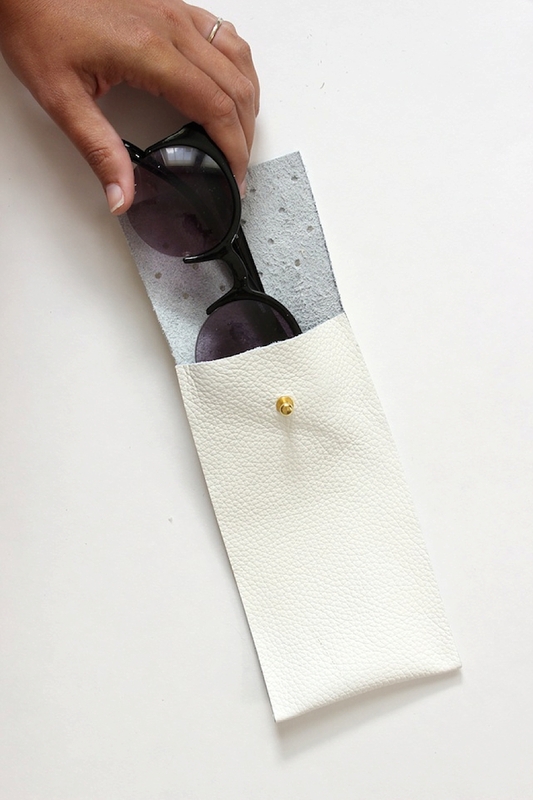 For a super chic upgrade from those stretchy sunglasses pouches, this one fits the ticket. Or your sunglasses in this instance. Remember that leather hole punch you needed from the camera strap project from above? You will need that again! Tassels are huge this year, and we can't get enough of them! 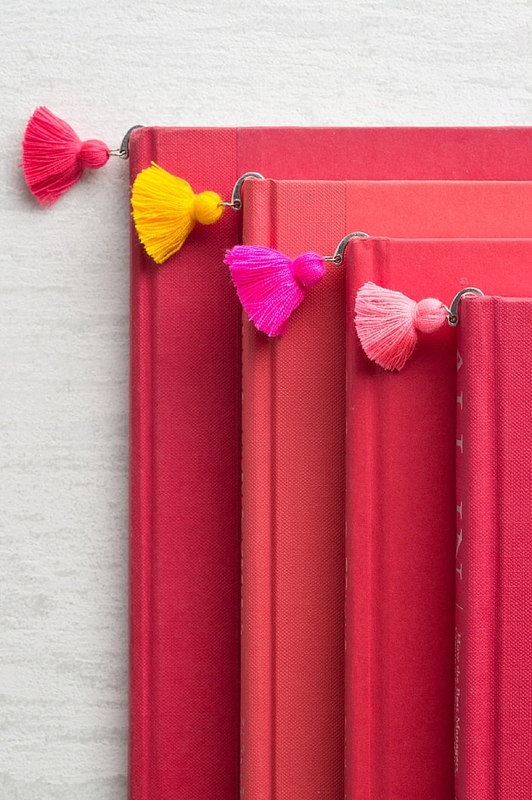 They're perfect for a fun and festive bookmark to snuggle in your book on the beach. Best part of this craft is literally the tassels can already be purchased as is. You just need your bookmark! Easiest. DIY. Ever. Any traveler knows that small plastic bottles are practically requirements, especially when you can't bring your larger-sized beauty products. So why not make them a bit more pretty with your own custom labels? You will need that Cricut electronic cutting machine and a printer for this project. 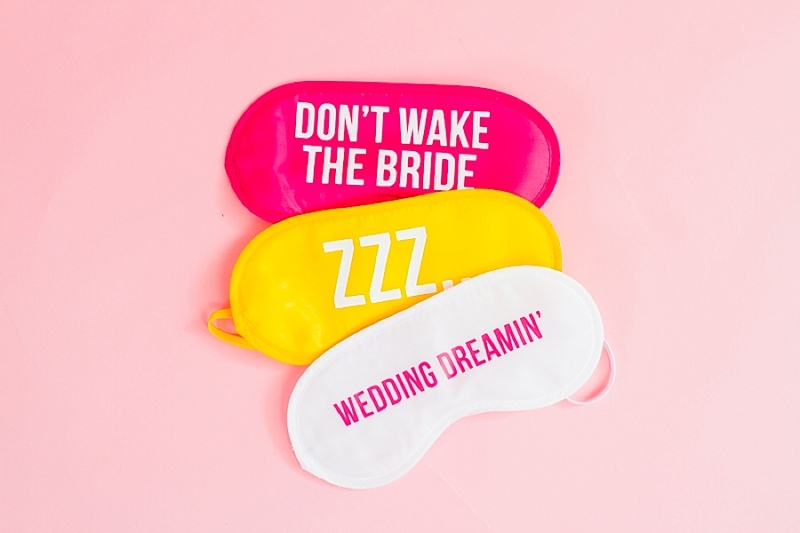 Everyone who is sensitive to light knows the magic these sleep eye masks hold. 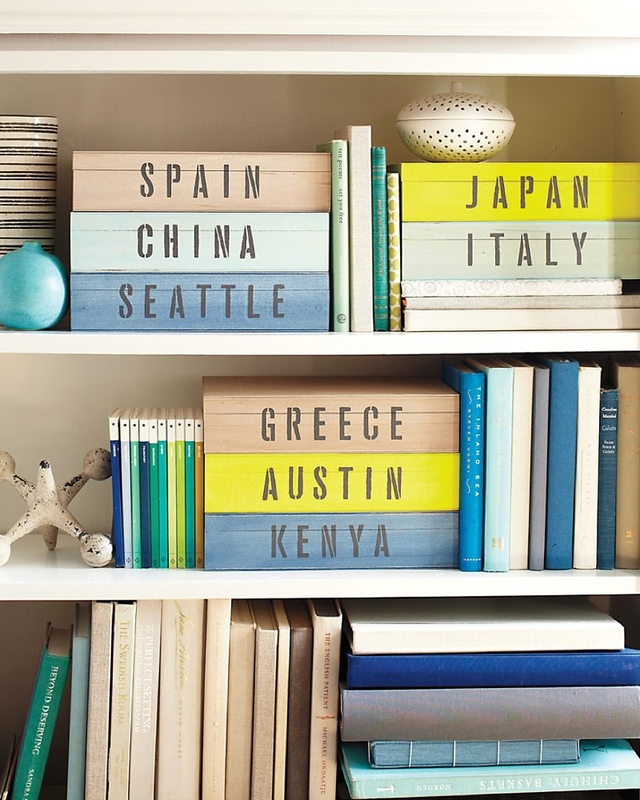 Our editor-in-chief seems to collects them, so any fun way to personalize is a win! Remember the passport cover project above? You will need that fab Cricut electronic cutting machine again for this one. Have some heels that feel too formal for your vacay? Give them some color and fun with an upgrade with some trendy trim! Pom poms are summer's BFF, and we think everyone should have a pair in their closets. We're not even going to be shy about this tip. You need this mirrored pom pom trim in your life. It's non-negotiable! Love monograms? Or a stylish way to keep track of all your luggage? 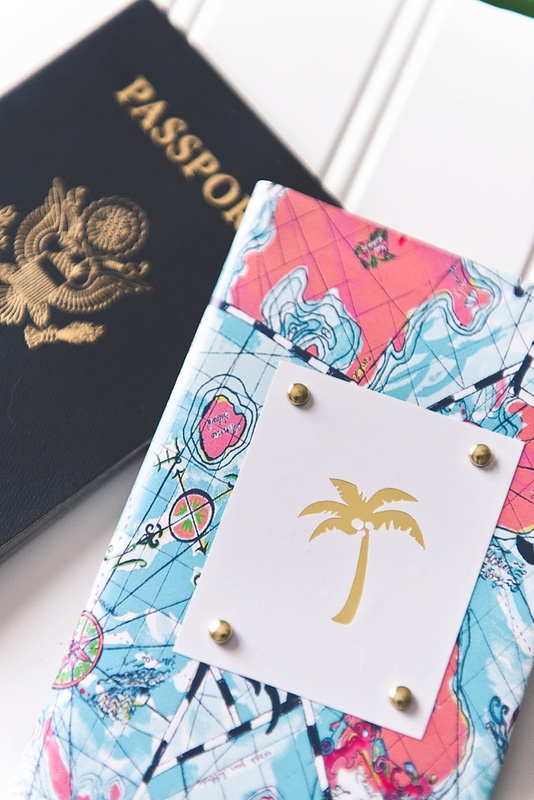 This posh idea is a shoe-in for your next vacation! You will need that Cricut electronic cutting machine for this project. After your trip, you've got to have a place to put your souvenirs and mementos, and this stylishly modern keepsake box is perfect to store and display. You will need an unfinished wooden box for this project. Not feeling very crafty right now? Shop these! Editor's Note: Specially curated by us, some of the above product links are partner-connected and purchasing through these links means we get a small commission from those brands that helps support this website. You can find our full affiliate disclosure policy here on Tidewater and Tulle.